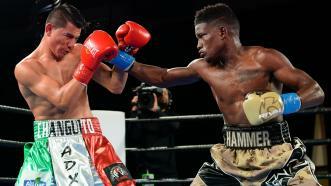 Erickson "Hammer” Lubin dominated Jose De Jesus Macias over 10 rounds, winning a wide unanimous decision to remain undefeated. 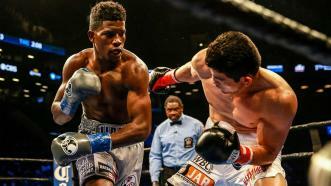 Southpaw Erickson Lubin gained a one-punch TKO of Jorge Cota in Round 4 of their 154-pound title eliminator. 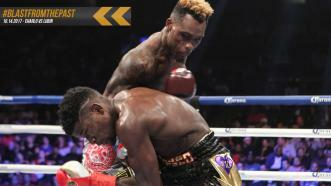 When WBC Champ Jermell Charlo (30-0, 15 KOs) successfully defended his 154-pound world title against Erickson Lubin (18-1, 13 KOs) with a first-round TKO, no one saw it coming. It was fast, devastating and shocking. If you blinked, you might have missed it at the Barclays Center. Jermell Charlo retains his WBC 154-pound title by first round KO October 14, 2017 on Showtime. 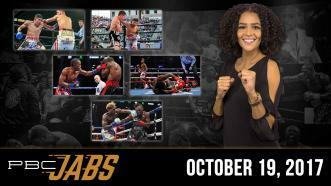 This week on PBC Jabs, we recap all the exciting action from our October 14th Fox and SHOWTIME cards. Plus, more PBC Trivia! Don't miss a 154lb. 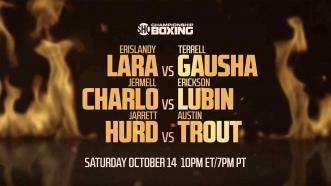 world championship tripleheader - Saturday, October 14 on a SHOWTIME CHAMPIONSHIP BOXING live from Barclays Center in Brooklyn, New York. 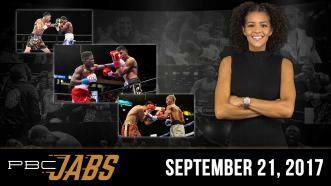 On this episode of PBC Jabs we recap our Toe-to-Toe Tuesdays FS1 show, we check in with 154-pound contender Erickson Lubin ahead of his first world title fight and we preview our September 26th Las Vegas FS1 show. 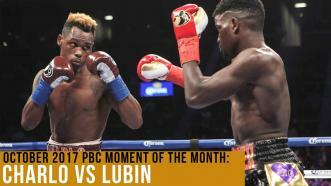 On his way up the ladder in a loaded 154-lb division, a vicious combination of precision and power got the job done for top contender Erickson Lubin last summer on NBC. 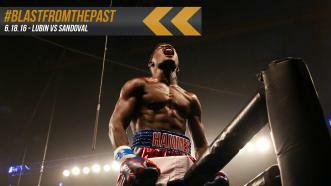 The sensational 3rd round stoppage victory improved "Hammer" to 15-0. A year later, he's 18-0 with 13 KOs to his credit, and in line for his first world title shot shortly after his upcoming 22nd birthday.